Back to School time is here, and as always, there are certain trends that are causing a kid-sized frenzy. But those frenzy-inducing items aren’t just for the classroom or the locker. There are several hot back to school trends you’ll want for your home office! 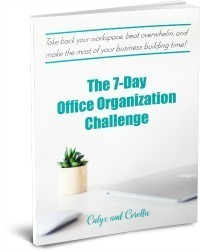 Are you a Calyx and Corolla Insider? Stay in the loop AND get your hands on five FREE printables to jump start your home business organization! Click here to sign up! I’m spending the day over at The Melrose Family spilling all of the best and hottest back to school trends you’ll want for your home office! We’re talking Kate Spade, emojis, pencil holders (these aren’t your momma’s pencil holders), and much, much more! But before you hop over to The Melrose Family, here are a few posts that you might want to check out. Ah, the back to school routine…. It can be challenging, to say the least, to get back into the swing of things after a more relaxed summer flow. But with these lessons I learned by making over my morning, you’ll be back in that routine in no time! 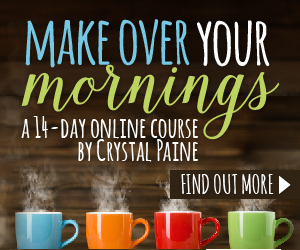 ***Psst, want to have your mind (and your morning routine) rocked by taking the Make Over Your Mornings class? Well, your timing is impeccable! This your LAST chance to purchase the class at a special sale price until 2017! Get all of the details by clicking the image below! Want a reminder? Make sure to become a Calyx and Corolla Insider! There’s never been a better time to start using a calendar and developing that all-important calendar checking routine! Learn how to get started (and keep going) with a calendar routine that will add hours to your day. School time brings a new selection of beautiful art created by your kiddos! But what to do with all of those lovely pieces? Why not create a kids’ art gallery? And, hey, it only takes an afternoon!